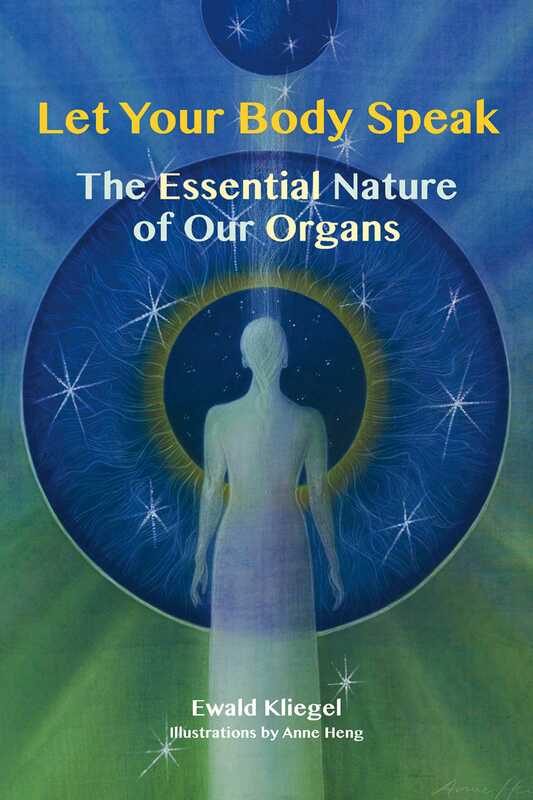 Featuring stunning colour illustrations of the energy of human organs and other body parts, this book is perfect for anyone interested in learning about the self-healing properties of the body and the psychic, emotional, and physical elements central to existence. The book provides a deeper understanding of the wider psychological function of each organ, including eyes, hands, hips, knees, shoulders, spine, and teeth, and explains how they act in concert within the body. The illustrations further enhance how to receive the message of each organ on an intuitive level, and a chart of healing crystals corresponding with each organ brings further information on how to interact with the organs energetically. Through the inner connection with the elemental beings of the organ we retrieve the “ideal software” from the ether field into the structure of our body and soul. Now we only need to update this information in our cells and organs. For this we can call on persons with healing skills who can tune in to this information. Equally, we can conduct this spiritual work ourselves. When we use the term “work”, we are not talking about “doing” in the classical meaning but about an increased awareness with which we present our organs with a smile and with which we give thanks to the perfection that lives within us. The illus- trations and the texts facilitate this work. While the first-person narrative already allows us to sympathize with the organ and thus sense its magnificence, the illustrations offer us the possibility to merge with the organ principle. With this the organ beings invite us to experience all their information and energies directly. Furthermore, we achieve an inner fusion with the organ principle and emerge into an inner world that provides a healing field. In order to establish a good connection with the essence of the organs we should always actively dedicate one whole day to one spiritual organ princi- ple. For this we could, for example, extract a core sentence from the text and actively recall and reflect on this sentence at different points during the day: What does this sentence mean in the context of just this situation? – How can I improve my life now using this information? This may seem to us a small step only but still, hereby we possibly receive an insight that helps us further, or out of it might come clarity about an upcoming decision. The same applies to each of the illustrations. If we continue to hold them mentally or physically in front of our eyes we discover this and that detail, which in connection with the present situation highlight completely new per- spectives and solutions. With such awareness, throughout the day we con- tinuously update the calibration of our programmes with the perfection of the spiritual levels of the organs, and we join with the current of energies and information that flows in the depth of our soul. In all this, we should always allow room for the question of how we can now use this inner presence of the organs’ elemental beings to heal something in us. How our mind evaluates the situation is not crucial. Much more important is that we feel as acutely as possible with our whole heart and let ourselves be guided by our intuition. Thus an impulse can, for example, when choosing the lunchtime meal, recommend a food combination that we otherwise would never have thought of. Another impulse can spontaneously direct our steps in another direction, it can gently prompt us at the next motorway exit to continue our journey through the countryside – despite an appointment – or to choose a route that we have never used before. At the same time, an inner impulse can animate us to speak to someone or to give more space to a meeting. These impulses can concern comprehensive topics, like questions on the general overall design of the day, but also deal with nearly inconspicuous inci- dents like a smile that we give to someone. In any case the decision as to whether we surrender to an impulse should not depend on mental delibera- tions or be determined by time factors, but by scanning our emotions to ascertain whether we are in any way touched by this impulse. An interesting possibility consists in drawing or painting a picture of an organ. For this we simply need to take a sketchbook and a pen or pencil of any colour, begin without any aim or concept and let ourselves be guided by our inner impulses. The artistic qualities of the work are not important here; what matters is how intensely we dedicate ourselves to doing this. For interpretation of what we produce we’d be best advised to let a day pass in order to gain “inner distance” when looking at the picture. In order to establish a good connection with the essence of the organs we should always actively dedicate one whole day to one spiritual organ principle. Another beautiful exercise for paying our respect to the organs consists in dedicating each day to a different organ. This is at the same time a spiritual spring-cleaning of the organs in the form of a mindful journey through the body. Since every journey follows a very personal route there is no determined sequence here either. We can select the organ of the day at random and identify it through tuning in to our body or according to a sequence that makes sense to us. As an addition a diary of events can be useful, where every evening we record our feelings and emotions in “catchphrases”. We are free to end the “organ day” with a positive conclusion in the form of a short sentence. Treat your body well so that your soul feels like living in it. Ewald Kliegel has been a practicing massage therapist and naturopath for more than 35 years. He teaches seminars on reflex zone massage and crystal wand therapy in both German and English throughout Europe. He lives in Stuttgart, Germany. Anne Heng is a painter, an illustrator, and an awareness teacher. She uses a special technique of painting on silk and has exhibited her work in Germany and abroad. She illustrated the book The Tree Angel Oracle. "I found this book fascinating. The various organs of our bodies channel messages and drawings that help us understand better their purpose and what they need from us to function fully. Learn to communicate with and listen to your bladder, blood, pancreas and kidneys in order to enjoy better health and spiritual realisations. Don't wait to get sick to communicate with your organs. Do it now and realise your life's potential." "Let Your Body Speak is an intuitive book to use that can help some of your aches and pains you may be experiencing. Each major organ has a colorful illustration, meditation, and corresponding mineral or crystal that may be used to help your body speak to you. I like the integrative approach and found this book to be small, but pack a big punch. As someone who is in the medical field, I cannot say that this book should only be used if something is feeling off about your body. I do however think that medical treatments and spiritual treatments or meditations can work very well together, and books such as this is an excellent way to try it for yourself. I definitely recommend it."